Crafted to combine style with function, and built to last, the Gentlemen’s Hardware Tools & Gadgets collection provides the ultimate solution for DIY tasks big and small. 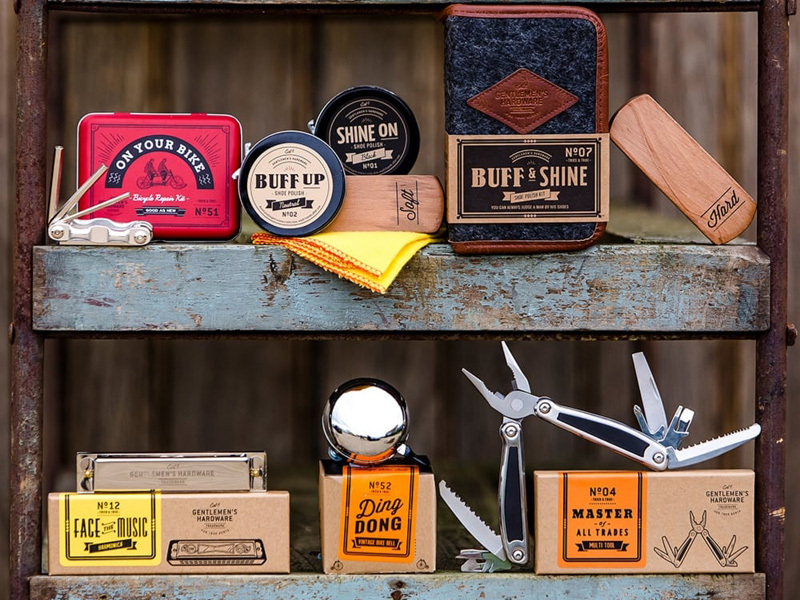 From camping tools, to garden tools and barbecue tools to fishing tools, the Gentlemen’s Hardware multi-tools collection will ensure you always have the right tool for the job! Cocktail connoisseurs and whisky lovers rejoice; we’re shaking things up! Introducing Gentlemen’s Hardware Barware. A stylish collection of unique multi-functional cocktail and spirit accessories to satisfy every gentleman’s beverage requirement. Crafted for the rigours of modern life, the Gentlemen’s Hardware grooming collection features products infused with natural scents including sandalwood and citrus. For true gents who like things fine and dandy!